Free Canada Post Shipping with any $60 purchase! 50% OFF Sale! Restrictions Apply. 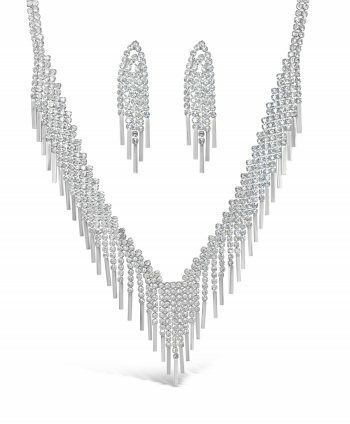 This bib style crystal necklace and earrings set looks classy and elegant. 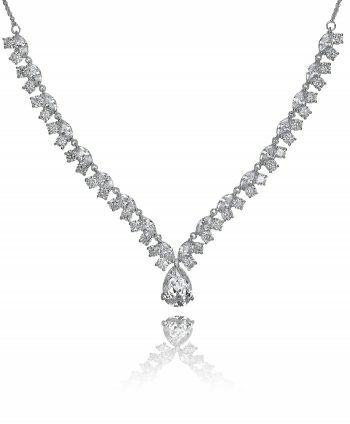 Flaunt it at a gala or wear it as bridal jewellery, either way you’ll look ravishing! 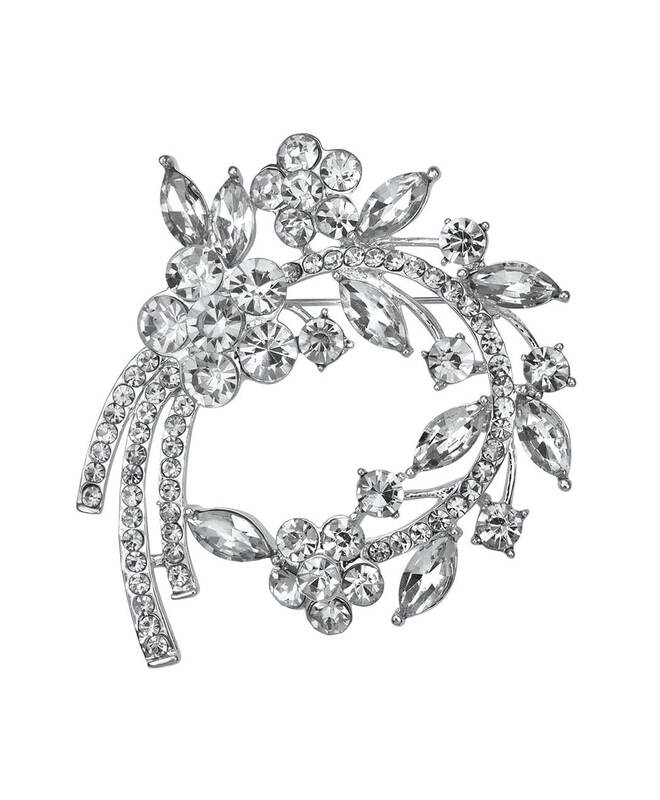 Add some dramatic flare to any outfit! This fabulous crystal pin features a variety of clear crystals that will sparkle through the day and night! Queen Anne of England was one of the most genteel of ladies, with her class and elegant chignons. This set is all about delicate beauty, and is intended for elegant dance parties, or perhaps a wedding. 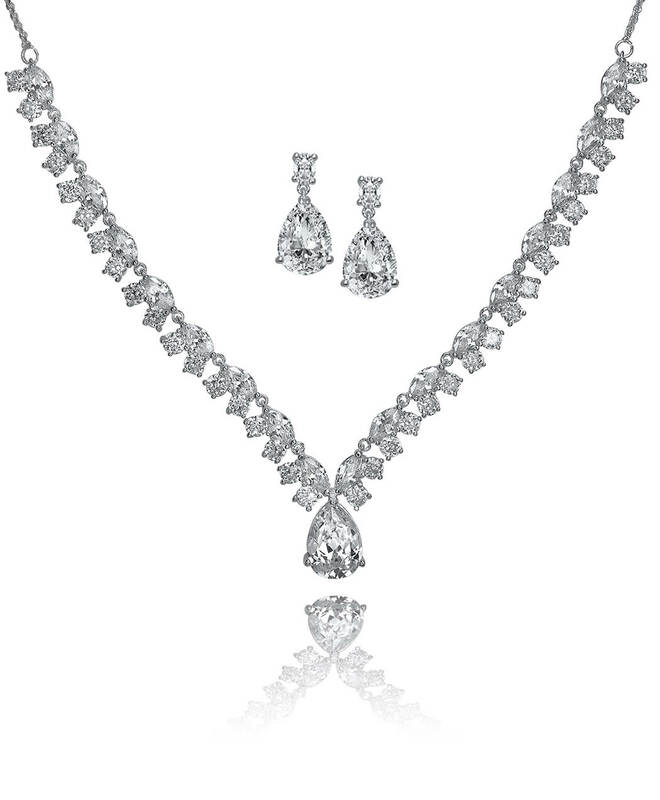 Exude grace and sophistication on your wedding day with this exquisite V-shaped tear drop and marquise set. 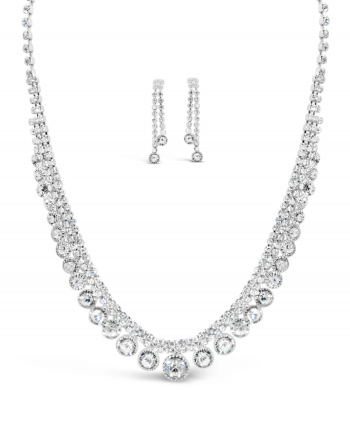 The matching necklace and earrings showcase diamonelle cubic zirconia stones that glimmer from all angles. It’s easy to stand out and make a statement when you’re wearing this unique Fringe Crystal Set. 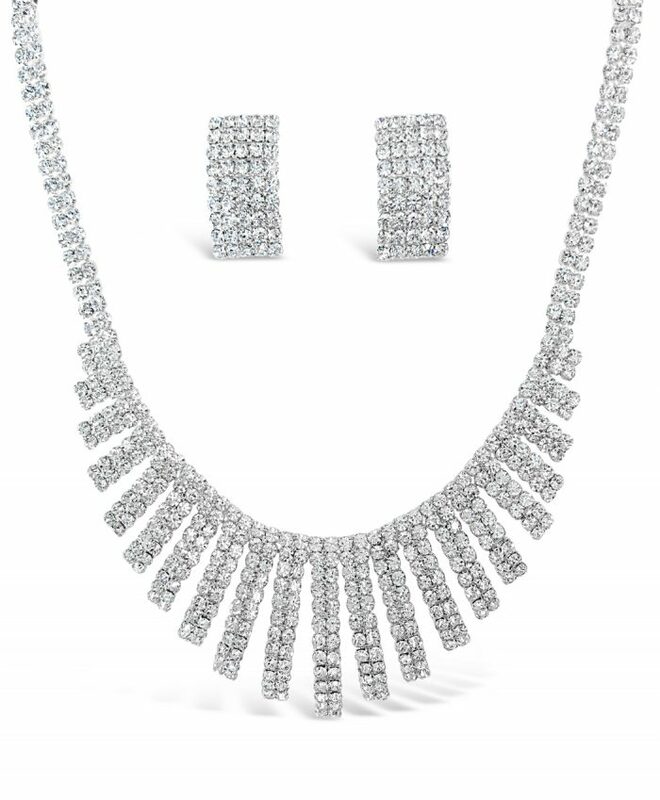 Complete with a dazzling necklace and matching drop earrings, this is a fashionable and fancy set perfect for gala events. 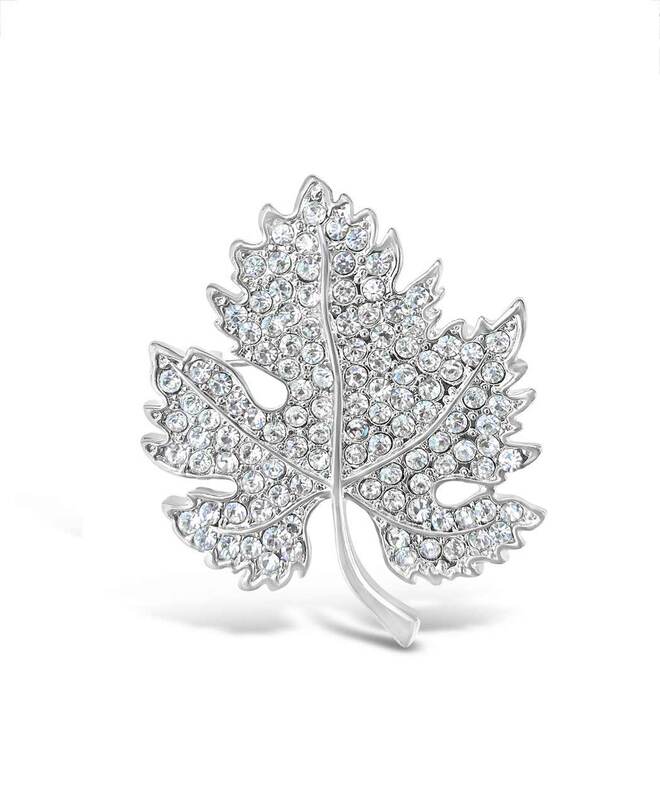 Show off your Canadian pride with this brilliant maple leaf pin that’s crafted with Austrian crystals.